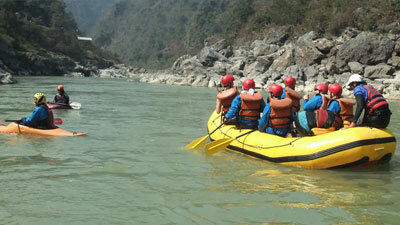 Rafting in NepalRafting is a journey on a river in an inflatable rubber boat. 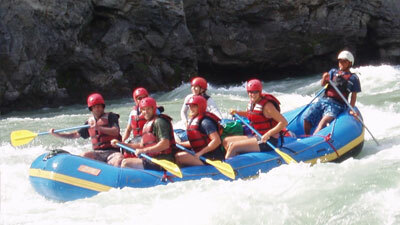 Equipped with a paddle, life west and a helmet you can travel long distances. 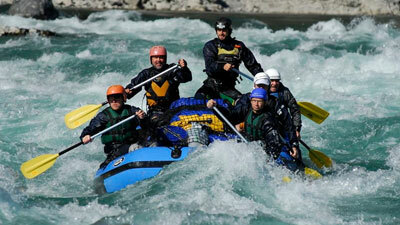 You have to paddle with great effort through rapid streams as well as slowly gliding on the river enjoying the nature. 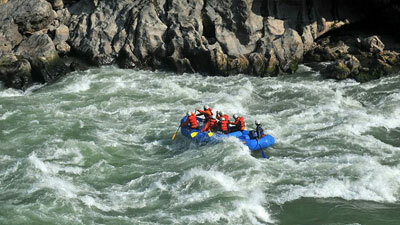 Explore the nature and fishing The trip can be more than a journey on the river. 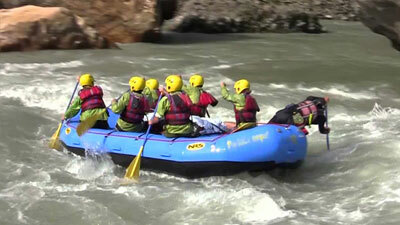 It will give you the opportunity to study the complex and unique eco-systems around the mountain rivers. 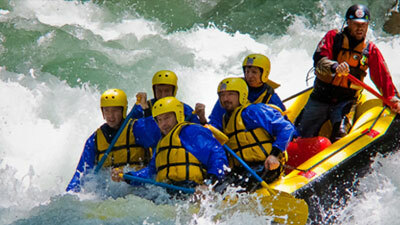 You can also try the traditional fishing methods used by the local people for centuries. Seasons The rivers are very challenging from September to November and from February to April when the snow from the Himalayas are melting. 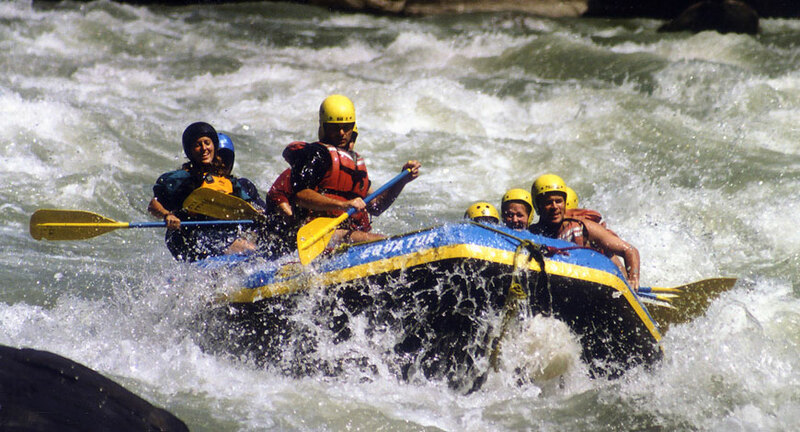 A professional river guide heads the rafting team drifting easily or paddling away in a frenzy whooping and screaming with waves crashing in. All camping equipment and meals are provided and most of the time the camp will already be ready when you reach the campsite and a cup of hot tea or coffee is waiting for you.